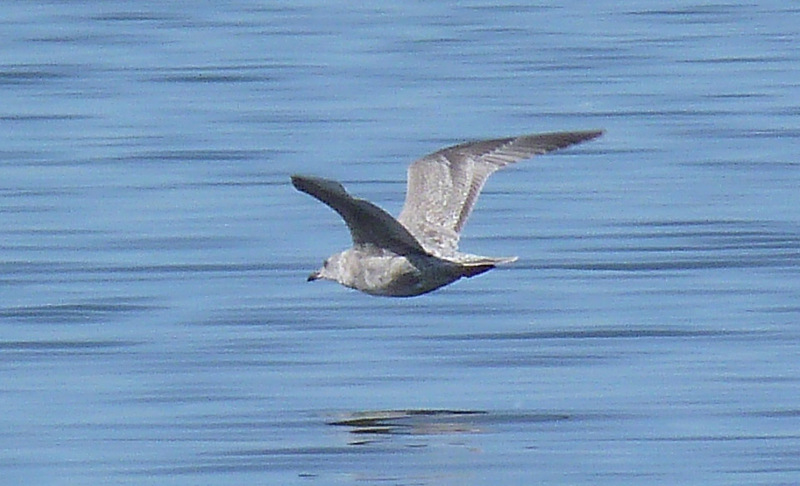 unidentified gull - adult, Barton Cove, Gill, MA. January 29th, 2012. 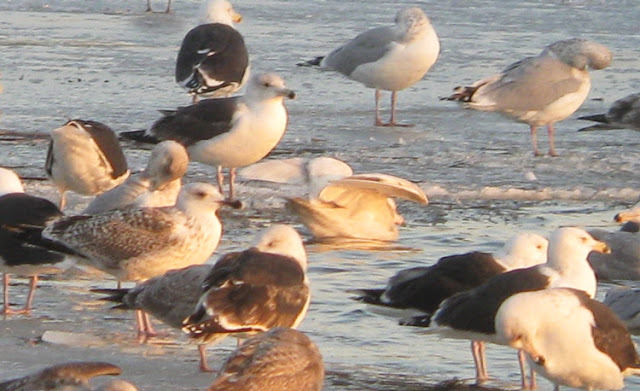 A curious looking bird with upperparts color a tone or two darker than most of the surrounding American Herring Gulls, but certainly not dark enough for a typical Lesser Black-backed Gull (also present). 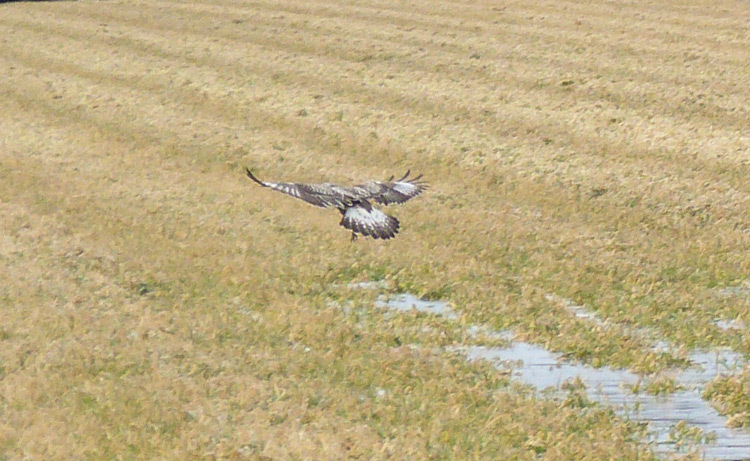 Legs were rather fleshy-yellow or perhaps orange toned, more striking in the field than they appear in these images. 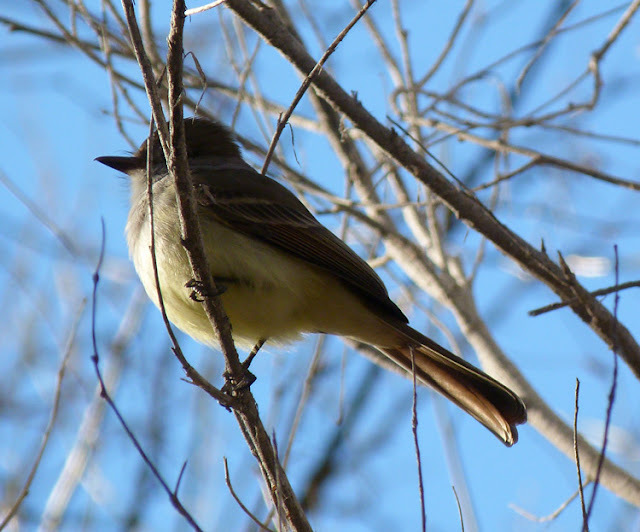 The weak yellowish tones to the legs do not show up well in these particular images. 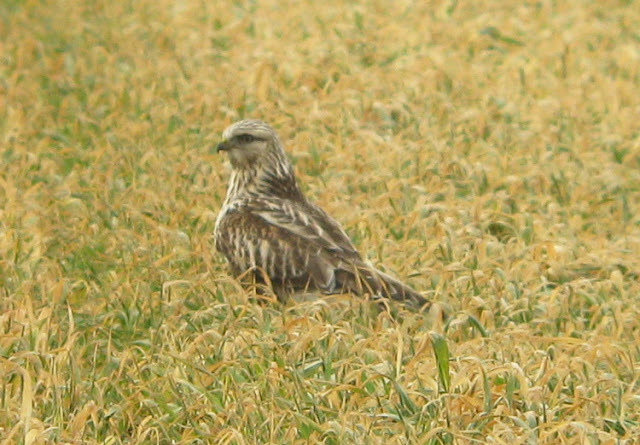 Found late in the afternoon after I'd spent most of my time on Kumlien's and Glaucous Gulls. I'm not sure what to make of it, so I'm just posting the images for the time being. 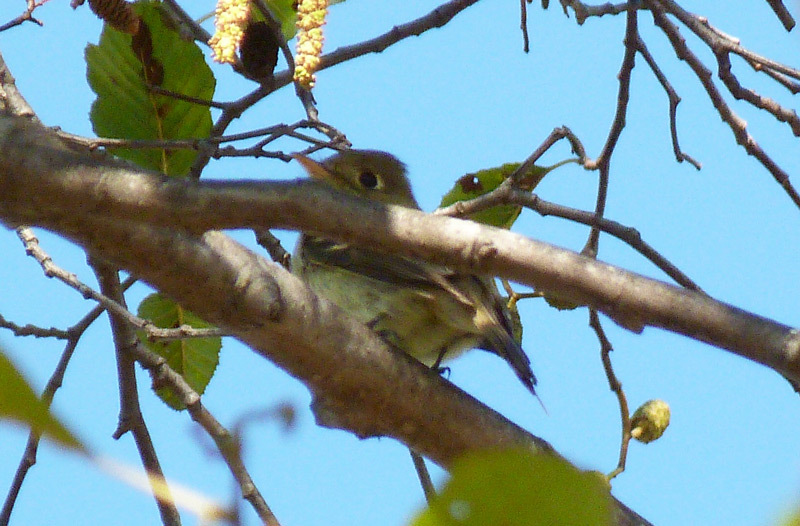 The situation wasn't helped by the fact that the bird was roosting almost the whole observation. 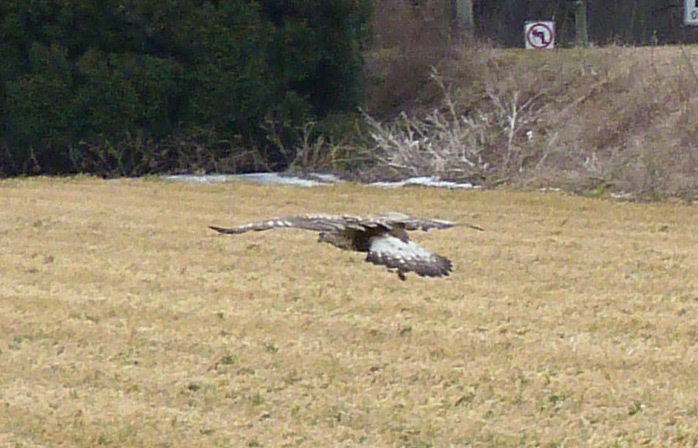 It lifted its head just once when a flock of Canada Geese departed from the cove. 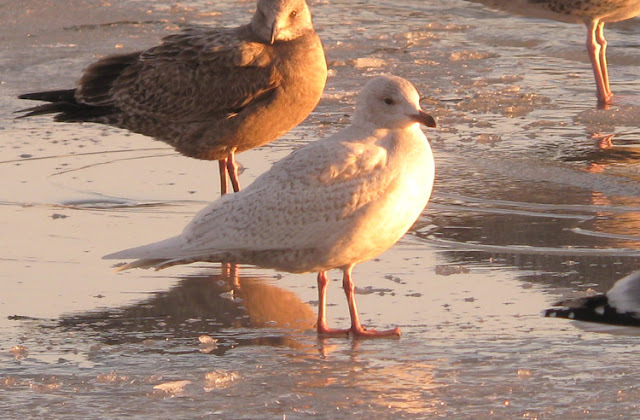 Kumlien's (Iceland) Gull - first-cycle, Riverview Drive, Barton Cove, Gill, MA. January 29th, 2012. Kumlien's (Iceland) Gulls - first-cycles (bottom right and top left), Riverview Drive, Barton Cove, Gill, MA. January 29th, 2012. This evening (January 29th) saw a distinct improvement in gull diversity at Barton Cove in Gill. 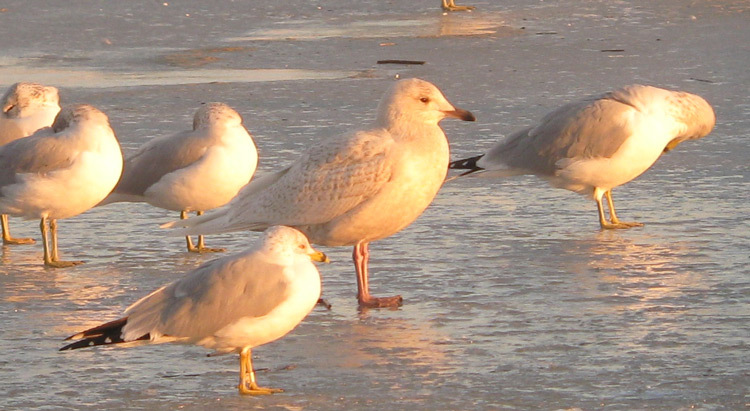 A modest group of gulls gathered on the ice just off Riverview Drive. 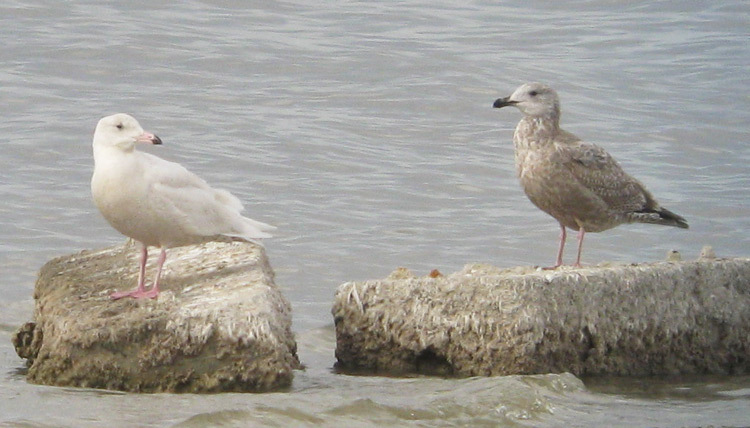 As on so many occasions, the initial impression wasn't too promising - less than 400 gulls seemingly comprising of American Herring, Great Black-backed and Ring-billed Gulls. 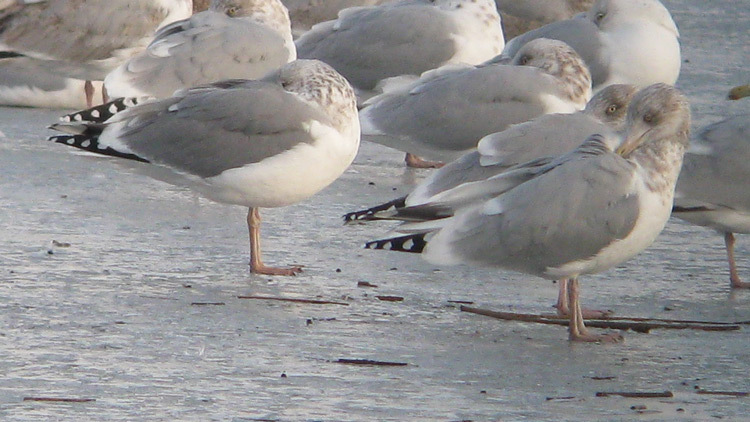 Before too long however, I was enjoying my first Kumlien's (Iceland) Gulls of the year. The more I searched, the more I found. By 5pm I'd tallied four first-cycle Kumlien's, three Lesser Black-backed (one adult, two first-cycle) and a first-cycle Glaucous Gull, not too shabby for a relatively 'balmy' Sunday afternoon in January. Glaucous Gull (center) - first-cycle, Riverview Drive, Barton Cove, Gill, MA. January 29th, 2012. Larids at Barton Cove. 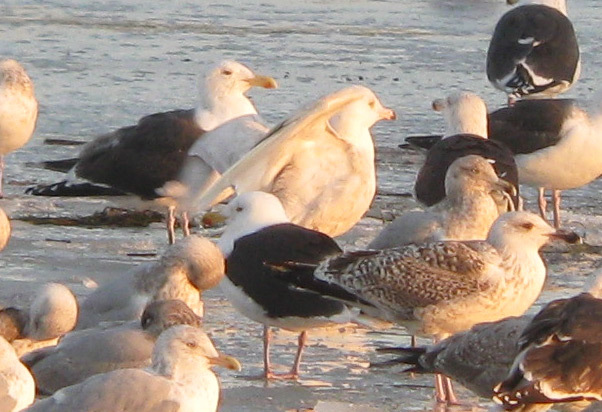 The entire gull flock in one shot with six species present when the image was taken. A few waterfowl were also on the cove including several Common Goldeneyes and Common Mergansers and, perhaps surprisngly for late January, two Ring-necked Ducks and a pair of Northern Pintail. 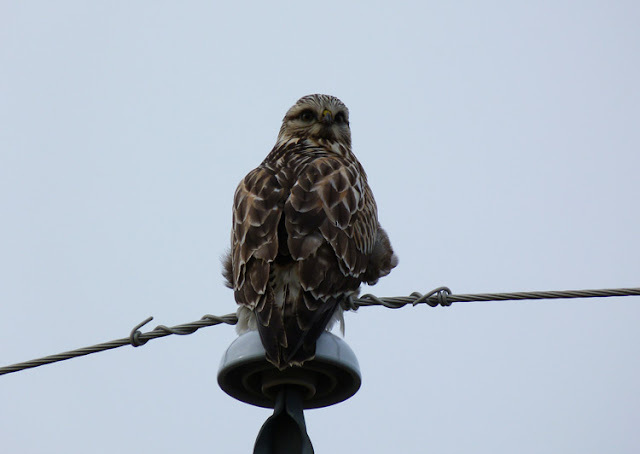 News of a couple of Rough-legged Hawks in Hadley provided a convenient excuse for a 'shopping' trip to the Hadley Mall, and a shot at one of the Rough-legs en route. It worked like a charm. 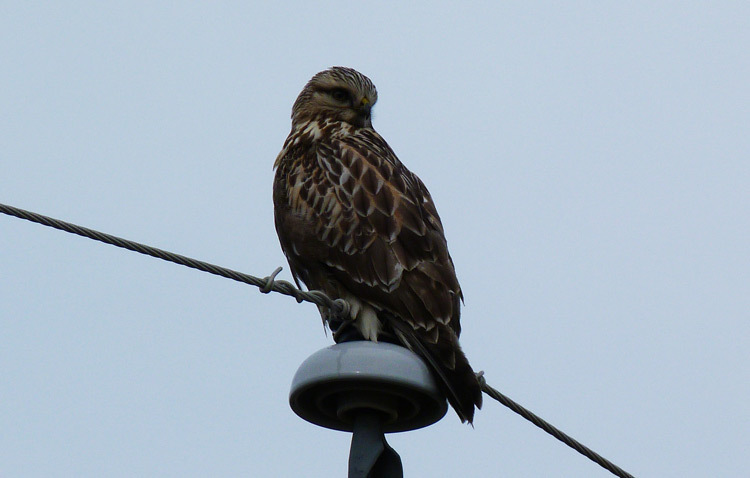 After turning north off busy Route 9, no sooner had we entered cross path road than we found a Rough-legged Hawk sitting atop a power pole right over the road! 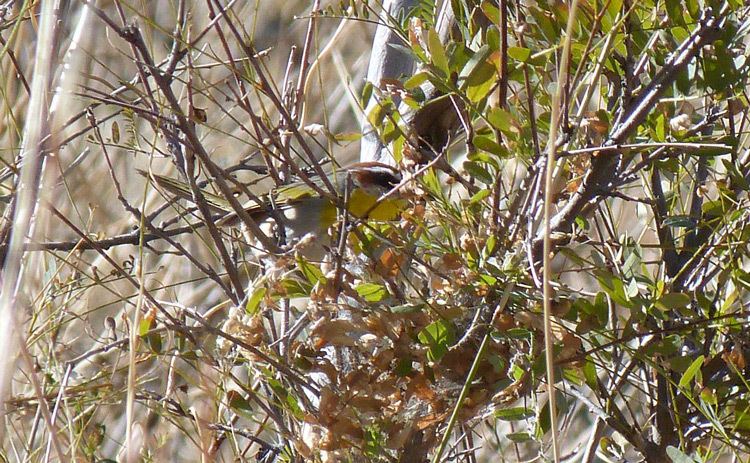 We parked carefully, and cautiously got out of the car to scope it trying hard not to flush the bird in the process. Such caution seemed a bit over-exaggerated when a pedestrian walked right under the bird which gave nothing more than a cursory glance and seemed quite unconcerned. 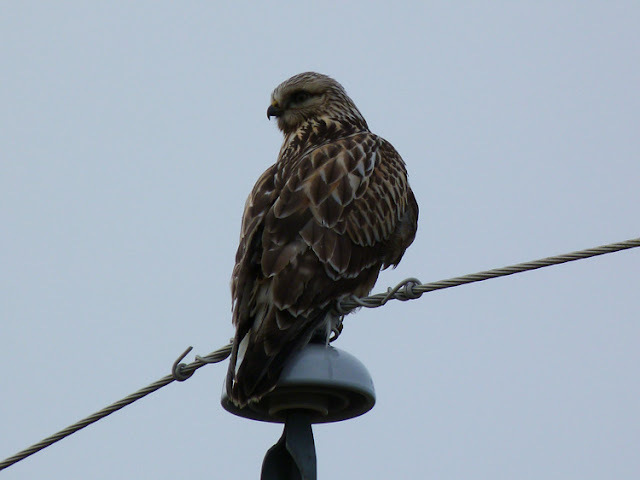 Having just witnessed how approachable the bird might be, I took my chances and walked along the berm for stunning looks at this smart, northern buteo. Not only the most approachable Rough-legged Hawk I've seen, but perhaps the most approachable raptor I've come across anywhere! It showed no signs of discomfort at all as I stood there and happily snapped a few pics. What a treat.....and just thirty minutes from home. 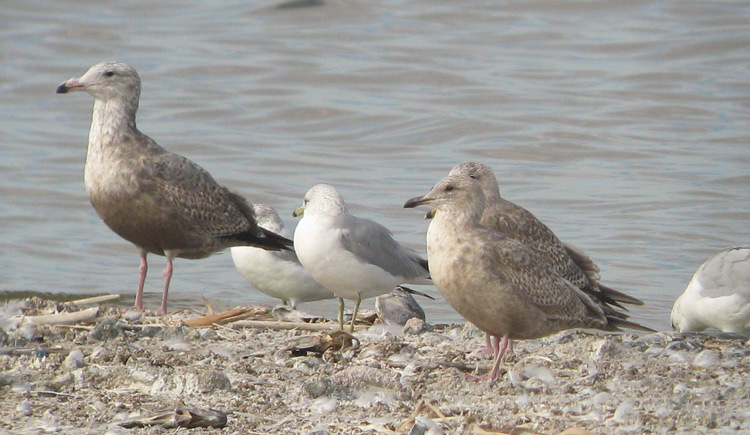 One of the hopes for our time at the Salton Sea was to see reasonable numbers of Thayer's Gulls. 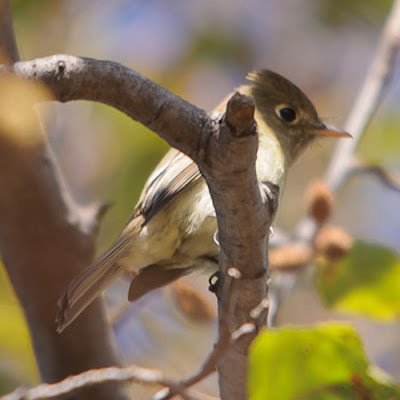 These hopes were soured a little when there appeared to be very few reports of Thayer's on the South-eastern California RBA but with a little persistence my group and I found one on Jan 14th, at least nine on Jan 15th, and then over ten during a solo effort on Jan 18th. 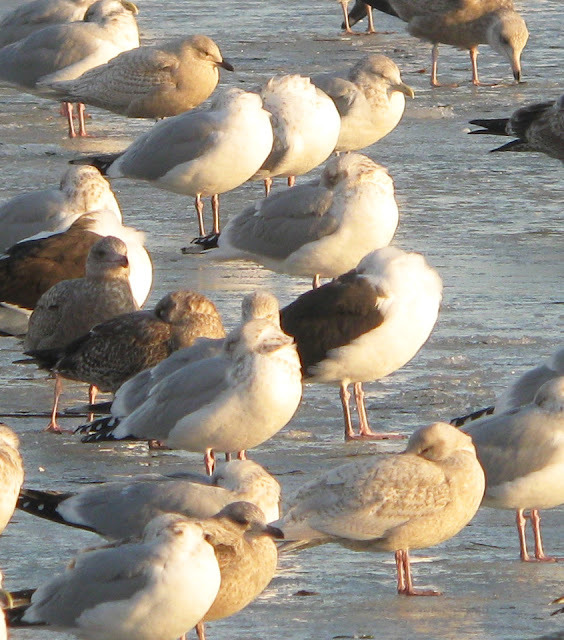 Most were first-year birds, but I managed to find all the age classes including a nice adult with an American Herring Gull at Red Hill on Jan 18th. 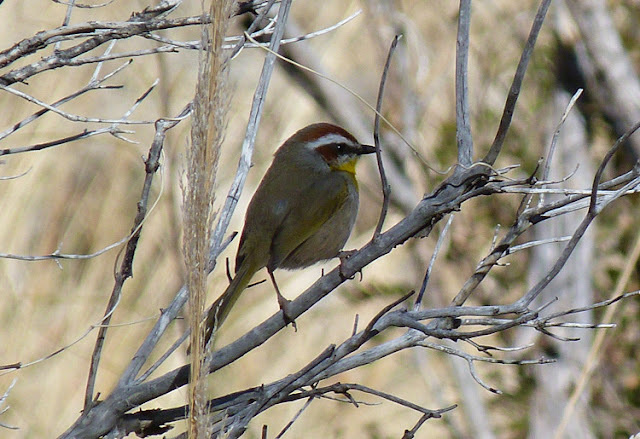 This post details some of the first-cycle birds. 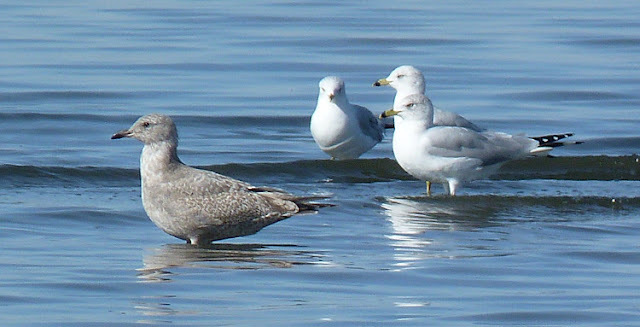 Thayer's Gull - first-cycle (with another first-cycle Thayer's immediately behind) with American Herring and Ring-billed Gulls. Niland, Imperial Co., CA. January 15th, 2012. Thayer's Gull - first-cycle, Niland, Imperial Co., CA. January 15th, 2012. Thayer's Gull - first-cycle with Ring-billed Gulls. West end of Lindsey Road, Imperial Co., CA. Jan 18th, 2012. Thayer's Gull - first-cycle (same as above), West end of Lindsey Road, Imperial Co., CA. Jan 18th, 2012. 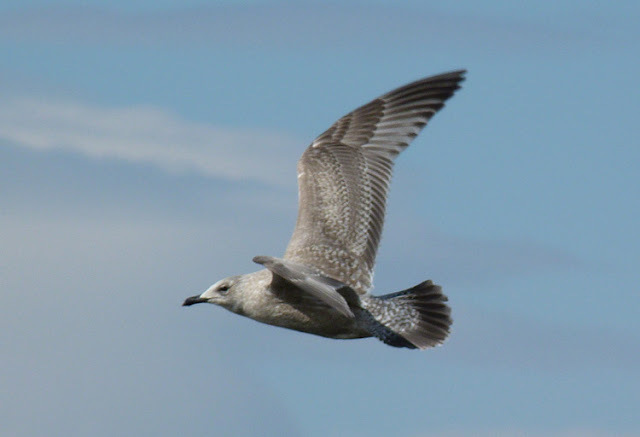 Thayer's Gull - first-cycle with Ring-billed and American Herring Gulls. Obsidian Butte, Imperial Co., CA. January 18th, 2012. 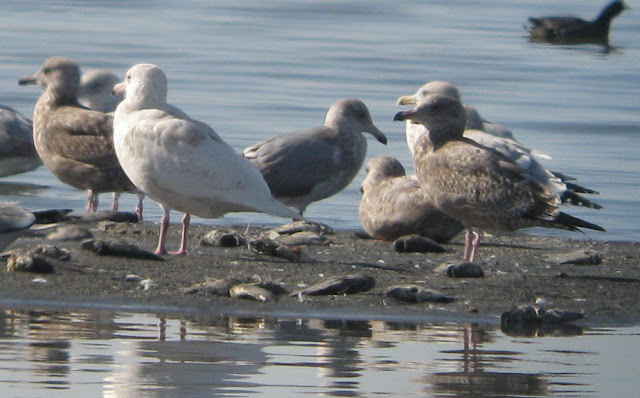 Sorting through the many thousands of gulls on the shore of the Salton Sea produced some nice surprises including two Glaucous Gulls, one at Niland on Jan 15th with my group, and one at the end of Lindsey Road on the 18th. 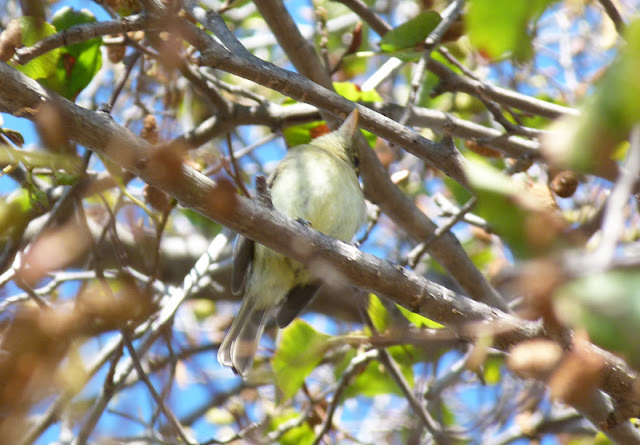 Initially, I took both to be first-cycle birds but I'm no longer sure that the Lindsey Road bird can be aged as such and may be actually be a second-cycle. 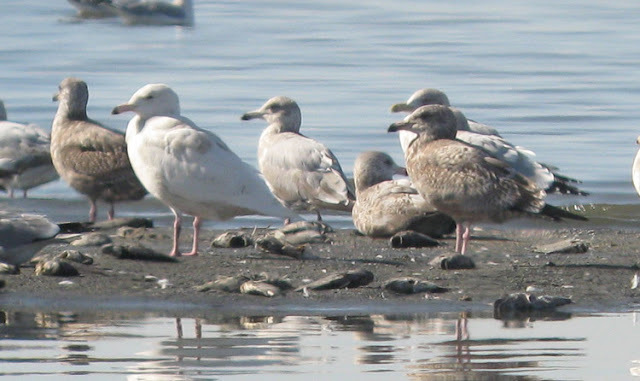 Glaucous Gull - first-cycle with American Herring Gull, Niland, Imperial Co., CA. January 15th, 2012. 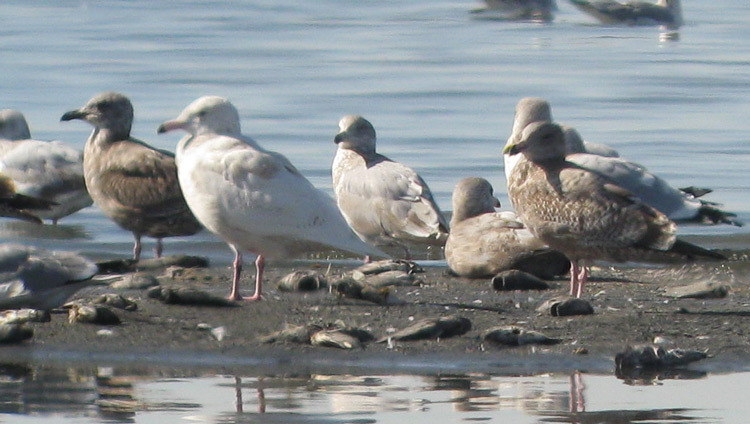 Glaucous Gull - first/second-cycle with American Herring Gulls, West end of Lindsey Road, Imperial Co., CA. January 18th, 2012. Seems to show quite poorly defined black tip to the bill and a paler eye than the bird at Niland on the 15th. 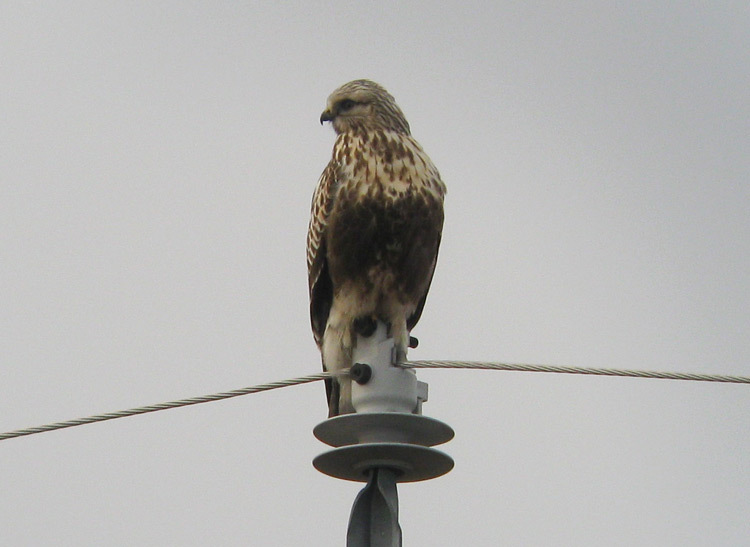 Also notable, quite obvious blotchy brown markings on the upperparts and on the lower flanks and vent. 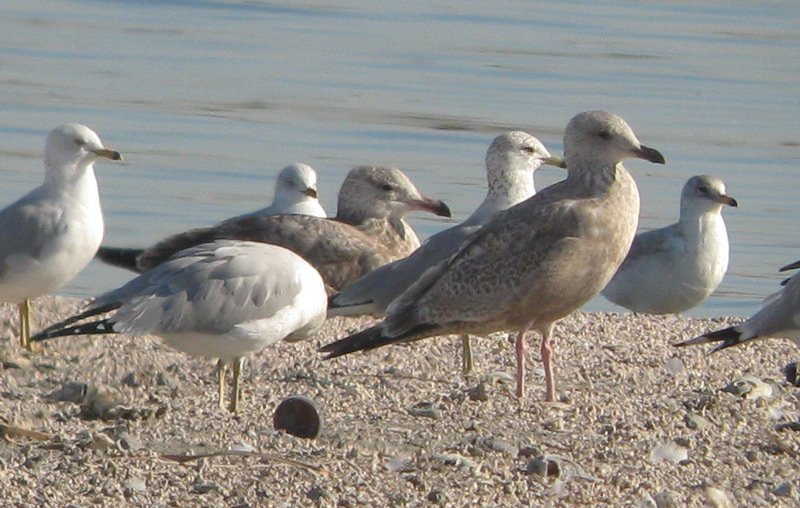 Heat haze caused some blurring of the images along with the on-going problem of getting close to gulls at the Salton Sea. Apologies for the poor quality shots. 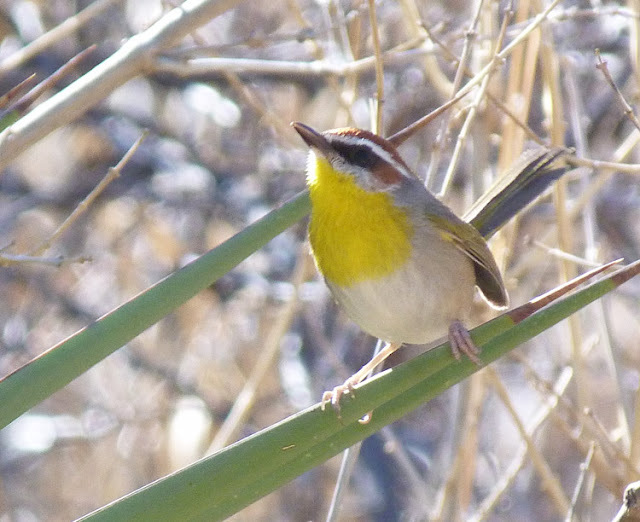 January 10th marked our second attempt within a week at trying to see Rufous-capped Warblers in Florida Canyon. It was no hardship to go back. It's a lovely place filled with plenty of birds of interest. As for the warblers, well these birds (apparently a pair) gave us the run around for the best part of the morning until we finally found them in the extreme upper reaches of the canyon. 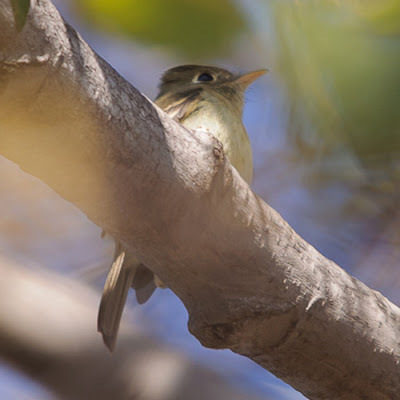 The spot was a small oak cluster next to the river bed, a place which had already given us Painted Redstart, Red-naped Sapsucker and three Olive Warblers before the Rufous-capped Warblers were finally heard calling from grasses on the hillside. 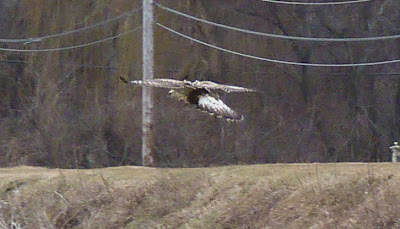 From this moment on we were treated to excellent, close range views as the birds moved down stream. 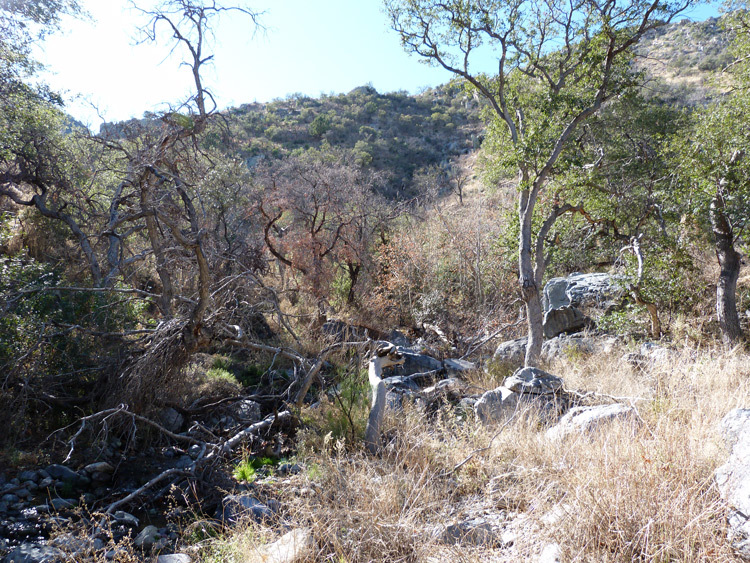 Farther down the canyon, the remainder of our group who'd decided not to venture any further were treated to good views of a Rufous-backed Robin - our third of the tour! This is more or less how I expected to see the Rufous-capped Warblers - skulking and difficult to observe. But I wasn't quite ready for this! 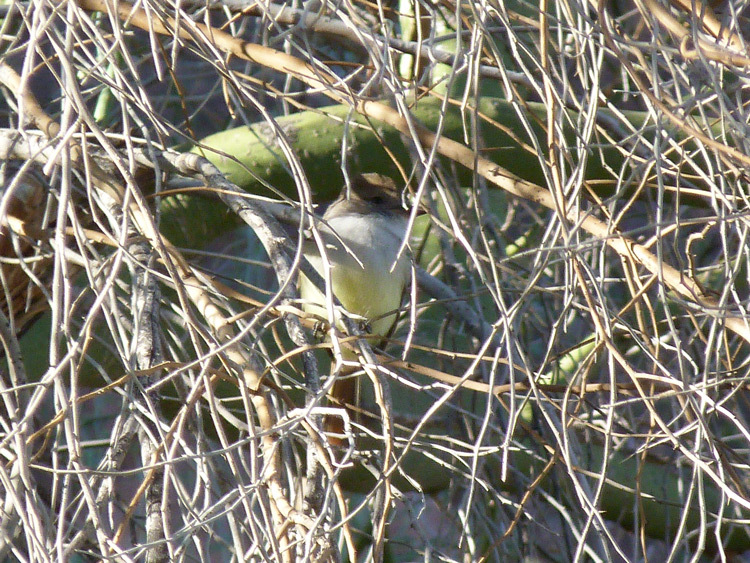 Prolonged views of an inquisitive little sprite, more than enough to brighten up any January day. Friday the 13th didn't turn out to be that bad after all. 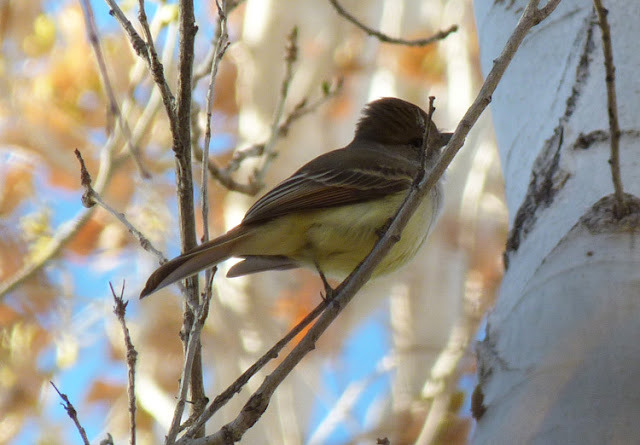 Having tried for the long staying Nutting's Flycatcher the previous evening, my group and I felt well rested and energized for another attempt the following morning. Despite being an ABA Code 5 (no less! ), only a handful of birders were present at the scene but included Massachusetts stalwart and trip leader Bill Drummond, and his wife Barbara. 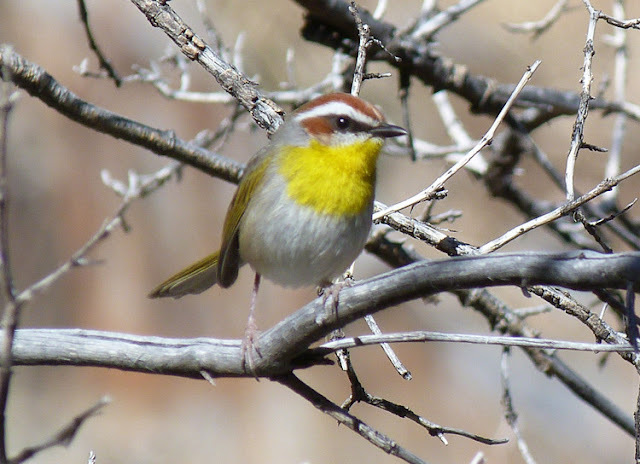 After about an hour of waiting patiently and enjoying some of the local birds (Canyon Wren, Crissal Thrasher and Phainopepla), both Barbara and I independently heard a single, drawn out 'wheeep' call, quite loud and strident and undoubtedly the Nutting's. 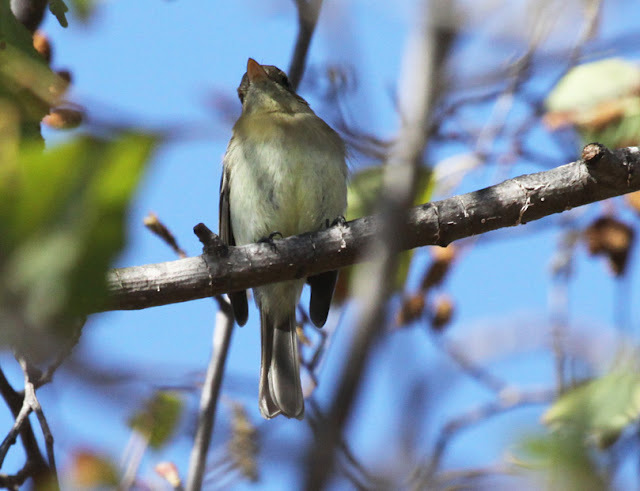 We signaled to all the birders down the road to come and join us. Anxious moments followed without so much of a 'sniff' of a visual. Then the bird called again, this time very close to the assembled birders. 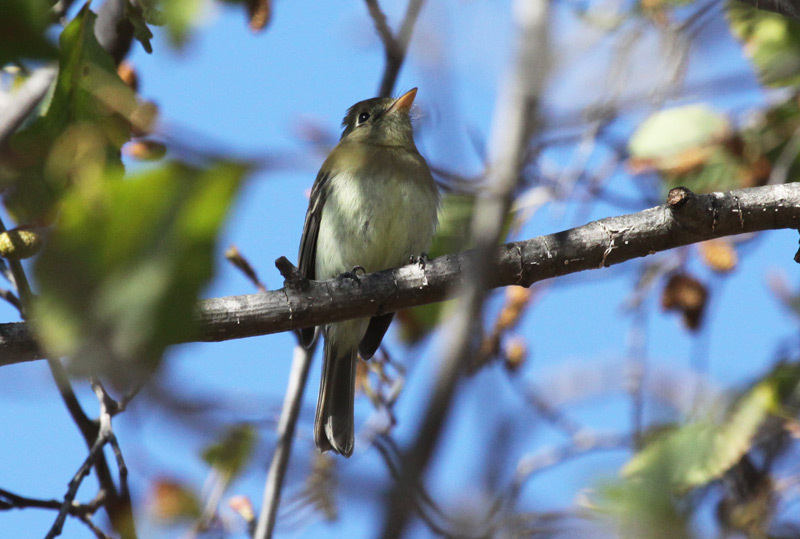 It wasn't long before one of our party, Sue Milks, detected the flycatcher in a Palo Verde before it dropped quickly out of sight to feed very low in the understorey. From here, after some initial, frustrating and mostly obscured views we were treated to superb looks and vocals for the next 45 minutes. 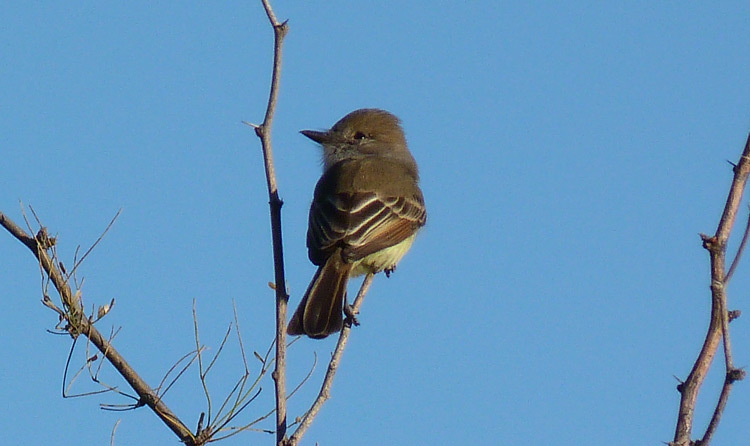 Such prolonged observations seemed totally justified for a species that offers so many identification challenges in the US, most often compared with Ash-throated Flycatcher. It was also a rare moment for me - a life bird on a US tour! Moreover, it was a bird to enjoy in a completely beautiful place - the Bill Williams NWR right on the fringe of a major riparian area in the middle of some fairly harsh desert. All in all, a glorious morning and one to remember. As always on such occasions, gracious thanks to the original finders, David Vander Pluym and Lauren Harter who initially detected this bird (by call) back on December 18th, 2011. 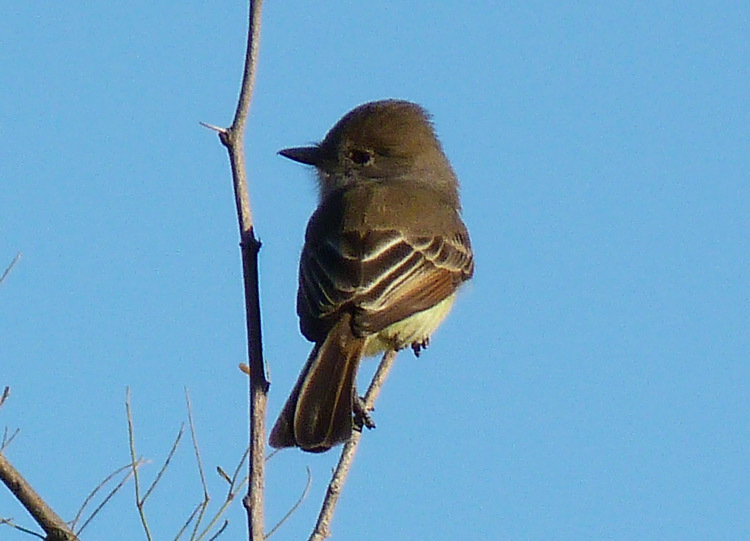 Update January 25th; Both Dan Cooper and Jay Keller have been kind enough to comment on this bird, both of them coming to the same conclusion - this bird looks find for a 'western' (Pacific-slope/Cordilleran) flycatcher. Since specific identification appears to depend entirely on call notes uttered by the males on the breeding grounds, the identification can't be taken any further. As it happens, Gareth Rees has just sent two more images of the same bird, one of them being the only profile shot we have so far. It shows, rather nicely, the obvious shaggy 'crest' that was so visible on the bird in the field and noticed by the entire group. Thanks very much to Dan and Jay for commenting, and to Gareth for supplying additional images. 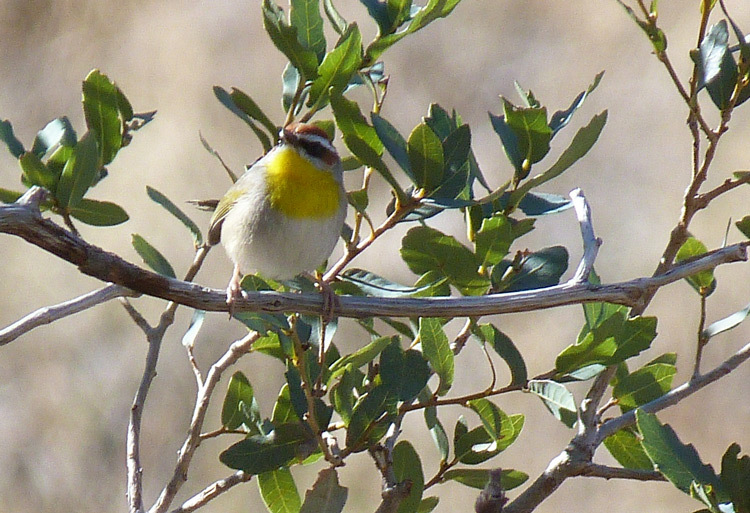 Just back from a really fantastic two week tour of Arizona and California with Birdfinders. We had a thoroughly nice and enthusiastic group, and some extremely exciting birding. 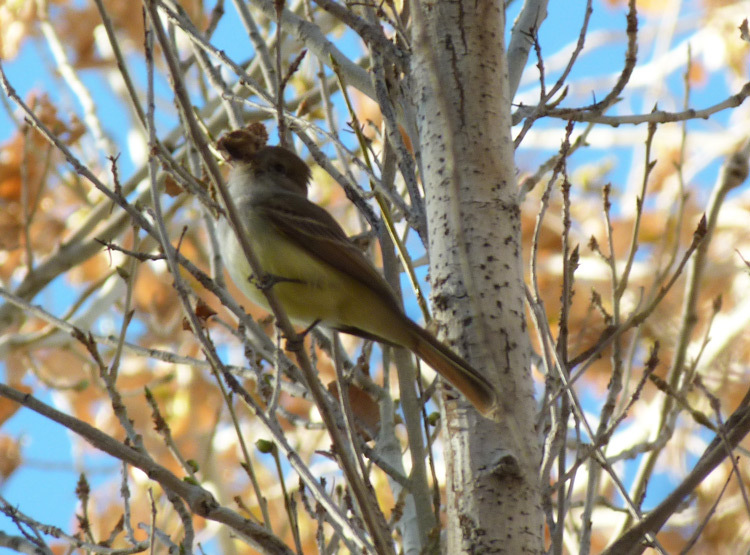 Ironically, my first post from the trip depicts a bird that eluded definitive identification. 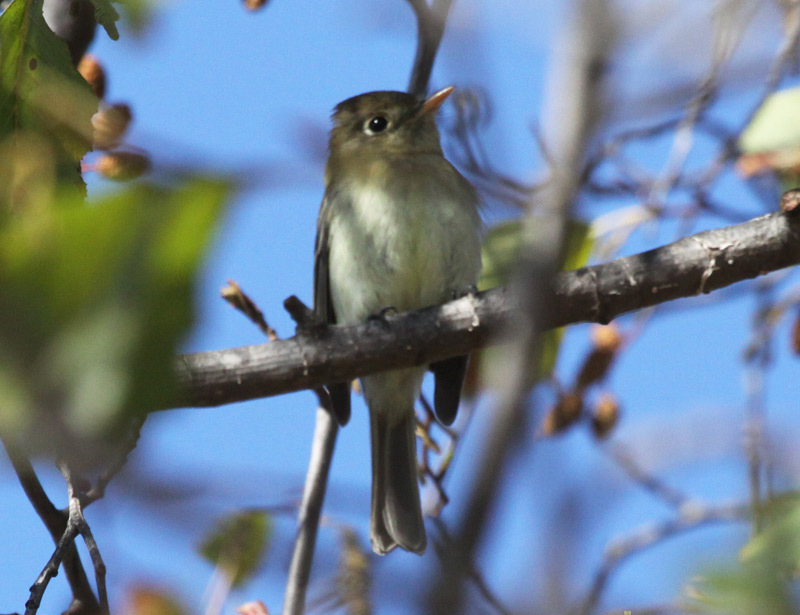 Whilst checking some Lesser Goldfinches feeding in an Alder at Sweetwater Summit in San Diego, I was totally thrown off balance when this empidonax flycatcher flew in to view. Having seen Gray, Hammond's and possibly Dusky the previous week in Arizona, this bird struck me as immediately different, most notably in the bill shape and color. The entire lower mandible appeared to uniform pale orange with little to no darkening at the tip. 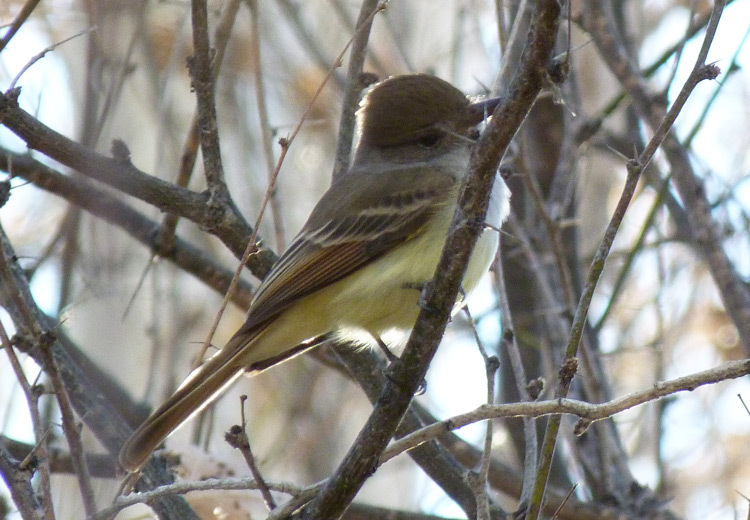 Moreover, the base of the bill was extremely broad reminding me much of Acadian Flycatcher. I raised the alert with my group and over the next 15 minutes we wrestled between views and photos. Included below, three of my better shots, though several of our party achieved much better results than I. Hopefully, some of those images can be added to this post in the not too distant future. 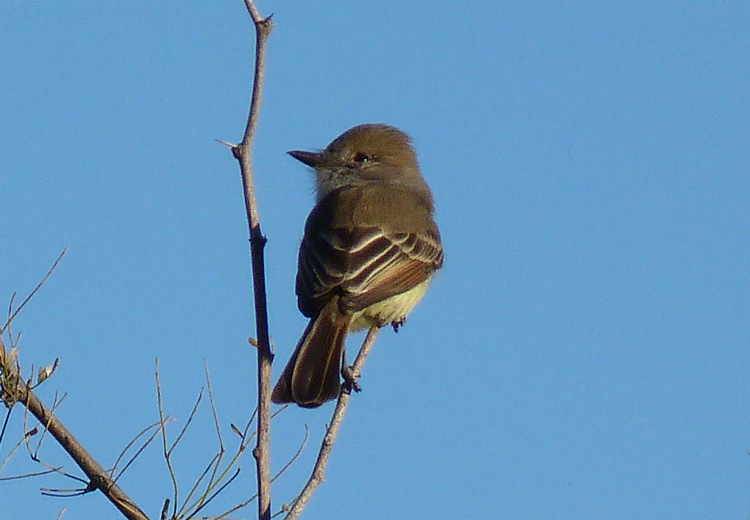 unidentified empidonax - Sweetwater Summit, San Diego, CA. January 17th, 2012. Most of my initial views were much like this with the bill looking notably broad at the base, and somewhat long and uniformly pale-orange throughout. unidentified empidonax - Sweetwater Summit, San Diego, CA. January 17th, 2012. 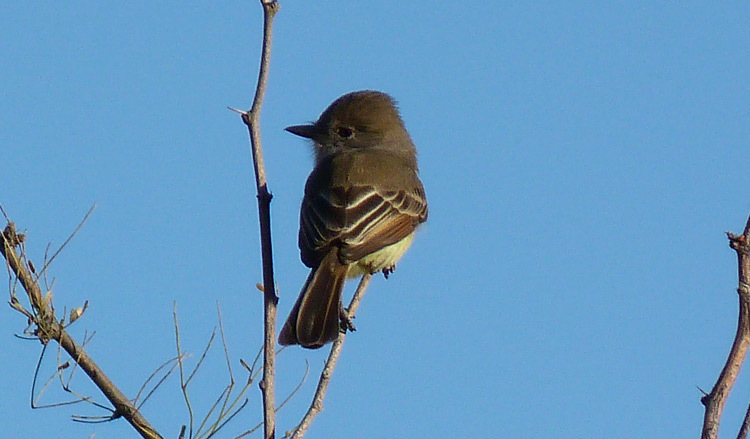 The bird regularly flicked its tail upward versus the distinctive downward flick of Gray Flycatcher seen the previous week in Arizona. 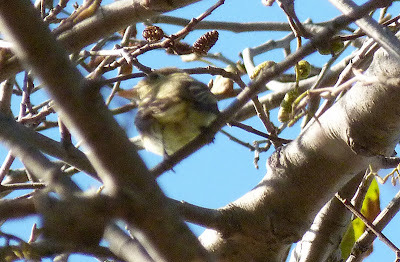 unidentified empidonax - Sweetwater Summit, San Diego, CA. January 17th, 2012. 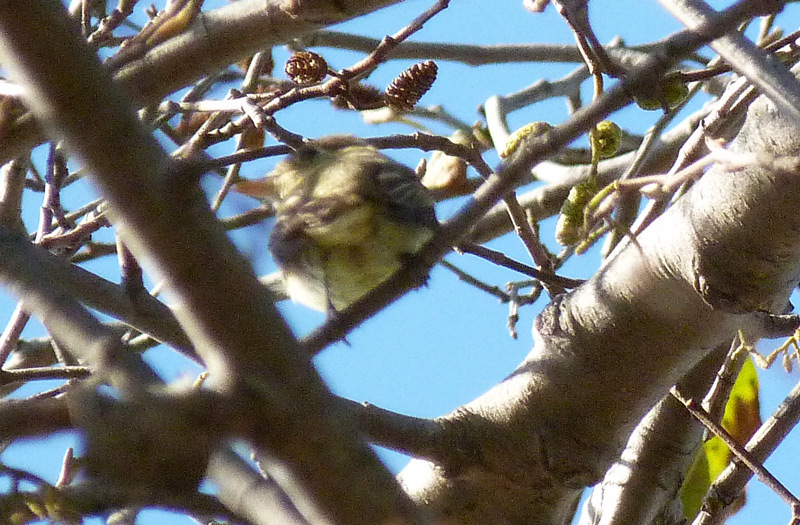 Distinct shaggy crest,obvious during most views, and again the largely pale lower mandible noatble in this shot. Seemingly broken eye-ring, narrow at the top, and much broader and pointed at the rear. Primary projection appeared medium to short, though wasn't seen well in the field. Hopefully, the better images to come will reveal more on this. 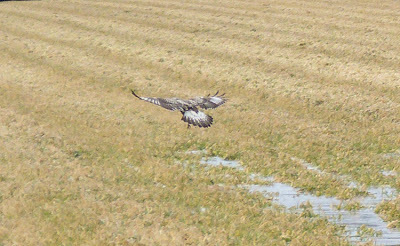 Wings rather brown with low contrast between tertial edges and wing bars compared to my memory of 'eastern' empids (Acadian, Yellow-bellied and Least). I initially considered the possibility of an 'eastern-type' empid but review of the images has drawn me back, quite sensibly I think, to 'Western' Flycatcher, either Pacific-slope or Cordilleran. The bird wasn't heard vocalizing. As always, all comments welcome.